There is so much to see and do in the Big Apple – the hard part is choosing what your group will enjoy the most. Many tour options are available if your groups wants to go that route and see attractions with a guided commentary. We like the Gray Line Loop Tours that allow you to hop on and off as you like. 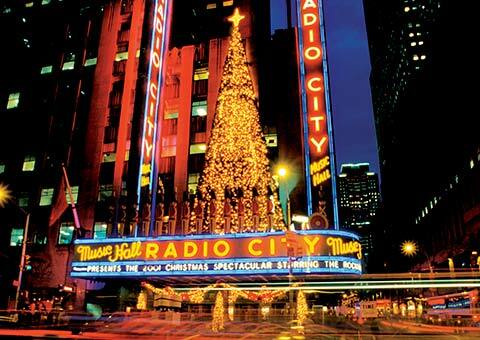 Broadway Shows – A visit to New York just isn’t complete without seeing at least one show! Ellen’s Stardust Diner (Home of the Singing Waitstaff) – a great unique group experience for dinner, in the heart of Times Square. The prices are reasonable (burgers, etc. ), and the wait staff consists of off-duty performers. You never know, you may run into someone famous there! Times Square – Plan for time to visit all the cool stores and take lots of fun photos. World Trade Center Memorial – leave plenty of time for this stop. Many people end up spending more time than they thought they would as they find the experience very moving. Rockefeller Center, Empire State Building – great view from these buildings, many tours stop at one or the other. Statue of Liberty, Ellis Island – Recommend choosing a Statue of Liberty tour that passes close to Ellis Island rather than actually going to Ellis Island and waiting in a long line. Central Park – Central Park Zoo is a great free group activity. Good Morning America and Today Show Taping – if you want to get your group on TV, get there early and wear matching shirts or other coordinated outfits. Be sure to tell your group to bring comfortable shoes as visiting New York City involves lots of walking. Allow plenty of time to reach your destination as it can be time-consuming to get around in New York. Riding the subway in New York is a unique experience for those that have never taken mass transportation. For safety and to ensure the whole group stays together, before boarding the subway divide your group into smaller groups of 5-6 people with an adult in each group. A large number of people may get on and off at each stop so keeping track of people can be difficult. Be sure each adult knows your destination stop. Some groups also build in a trip to Boston as part of their itinerary. If you need help with the details of your trip, call us at (866) 758-9309 or email us.